The Nigeria Football Federation (NFF) have confirmed the appointment of their President, Amaju Pinnick into the Federation of International Football Federation (FIFA) Organizing Committee for Competitions. According to thenff.com, FIFA Secretary General Fatma Samoura, who signed Pinnick’s letter of appointment dated 18th January 2017, wrote: “We are very pleased to inform you that you have been appointed member of the Organising Committee for FIFA Competitions. We wish you our sincere congratulations on this appointment. “The FIFA administration is at your disposal through the following Administration Officer, who will be in contact with you regarding the upcoming meetings and any further aspects relating to your office as member of this committee: Colin Smith, Chief Competitions Officer. he world body had different committees for organization of its several competitions, including the FIFA World Cup, FIFA Confederations Cup, FIFA Women’s World Cup, FIFA U20 World Cup, FIFA U20 Women’s World Cup, FIFA U17 World Cup, FIFA U17 Women’s World Cup, FIFA Club World Cup and the FIFA Beach Soccer World Cup. 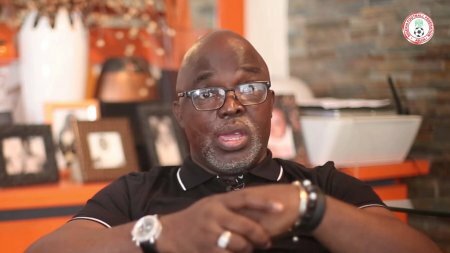 Pinnick was a member of the Organising Committee for the FIFA U20 World Cup. However, at its 66th Congress in Mexico City on 12th – 13th May 2016, and in accordance with the revised FIFA Statutes that came into force on 27th April 2016, the model of the standing committees was reviewed, cutting the number from 26 to 9. In line with the new FIFA reforms, each proposed member of any of the committees was made to go through a comprehensive integrity check conducted by several organisations of global relevance and stature. As a member of the CAF Organising Committee for the Africa Cup of Nations, Pinnick is presently at the 31st Africa Cup of Nations in Gabon, and will be match commissioner for Saturday’s clash between Mali and Ghana. Meanwhile Pinnick is a candidate for election into the Executive Committee of CAF. The CAF elections will take place at the 39th Ordinary General Assembly of the organization in Addis Ababa, Ethiopia on 16th March.